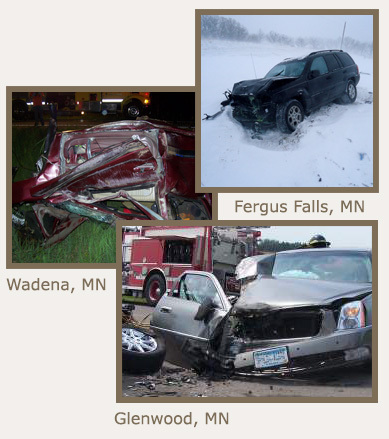 Pappenfus Personal Injury Lawyers Servicing All Minnesota. Make the call, we're here for you. Make the call, we'll come to you. As soon as an accident occurs the insurance company begins the claim process. Choosing a personal injury attorney can feel like a daunting process with overwhelming possibilities. Pappenfus Law Firm is available to help, educate and represent your best interests. We are a law firm continuing our legacy of legal integrity and proper representation of every client we serve. Letâ€™s Get Started with a simple conversation. Call, we will come to you. Trusting and CaringThe Pappenfus Law Firm has been a trusted and caring law firm to the injured for the past 58 years. Since 1957Robert H. Pappenfus started his practice in Alexandria, MN. A Family PracticeRobert was joined by his son, Tom, in 1991. Continuing TraditionRobert passed away in April of 2015, however Tom continues the Pappenfus Law Firm tradition of excellence, trust and caring for the injured.